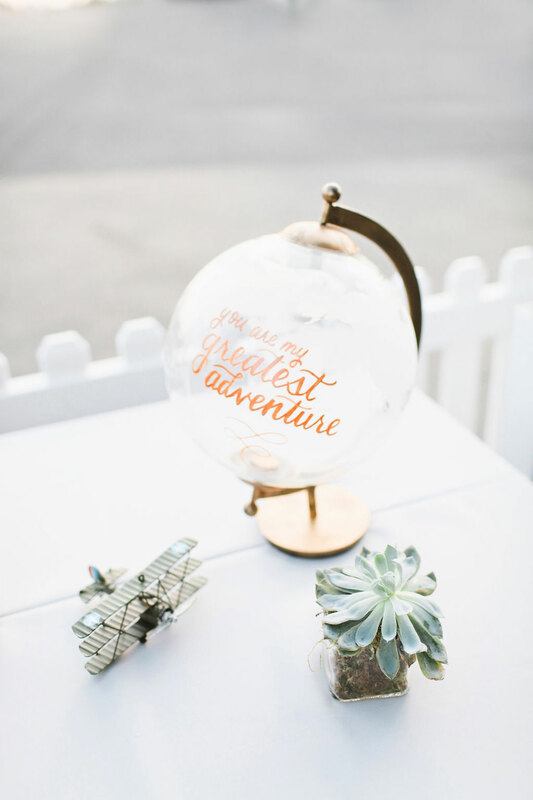 You can say we ‘caught the travel bug’ at Mike and Anne’s wedding. 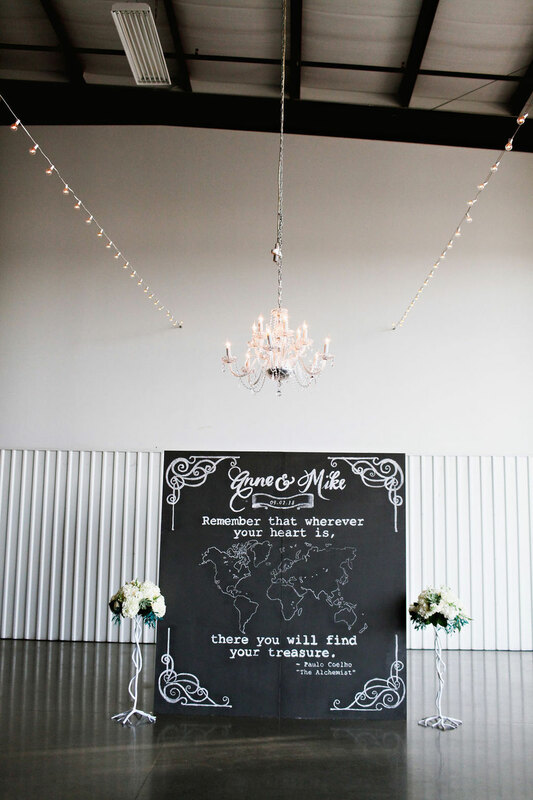 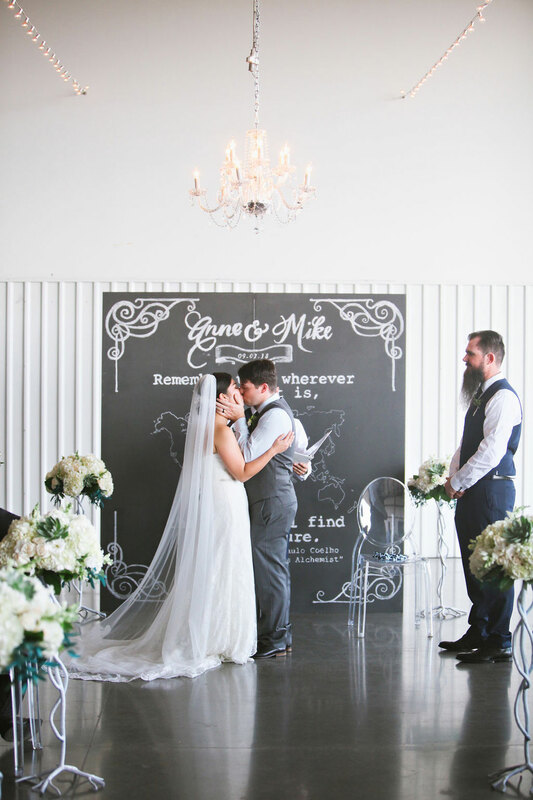 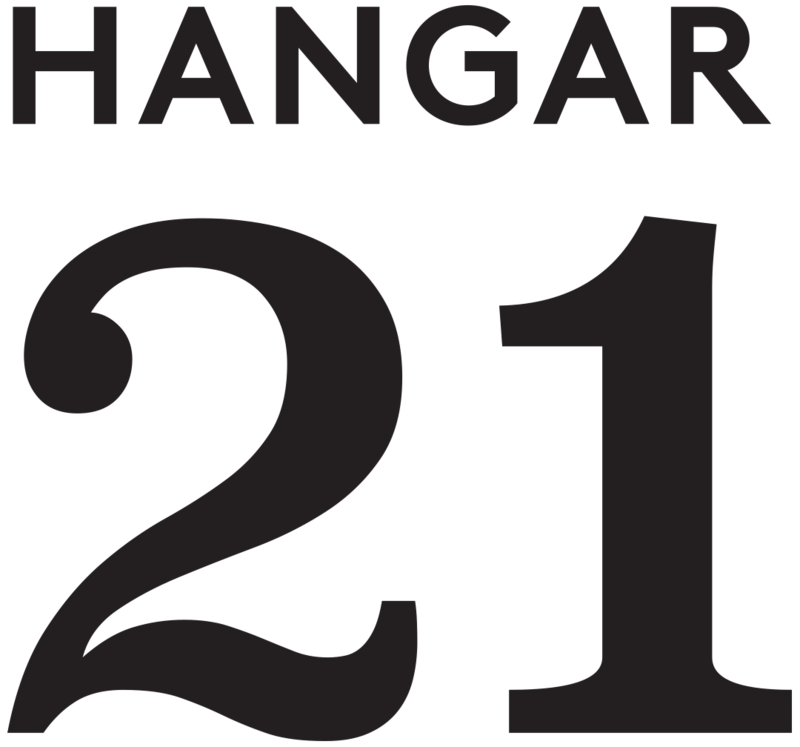 Adventure inspired decor filled the Hangar 21 space from the chalkboard backdrop where Anne and Mike exchanged vows with the quote, “Remember that wherever your heart is, there you will find your treasure,” to little planes and globes on their gift table. 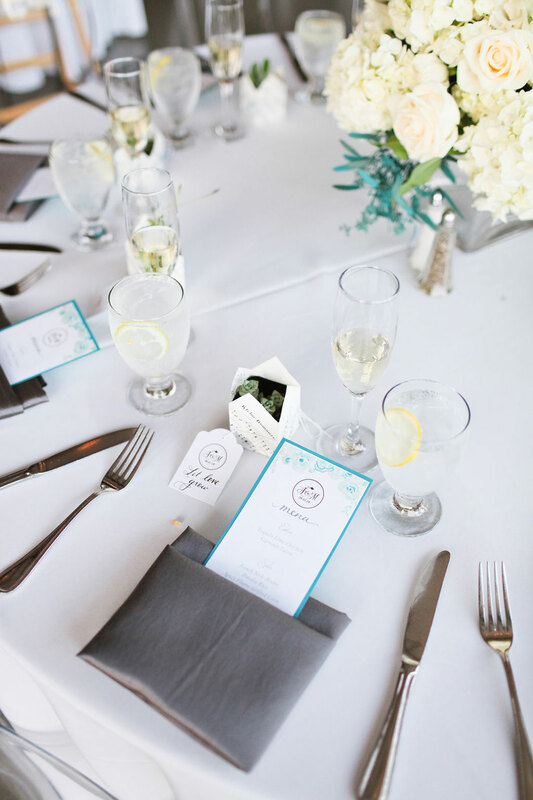 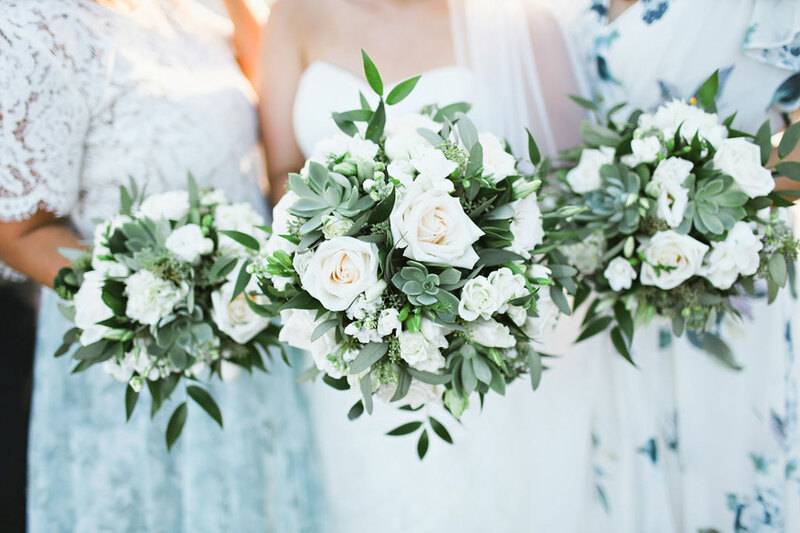 Pops of teal, white roses, and green succulents made an appearance across each table while string lights illuminated the venue. 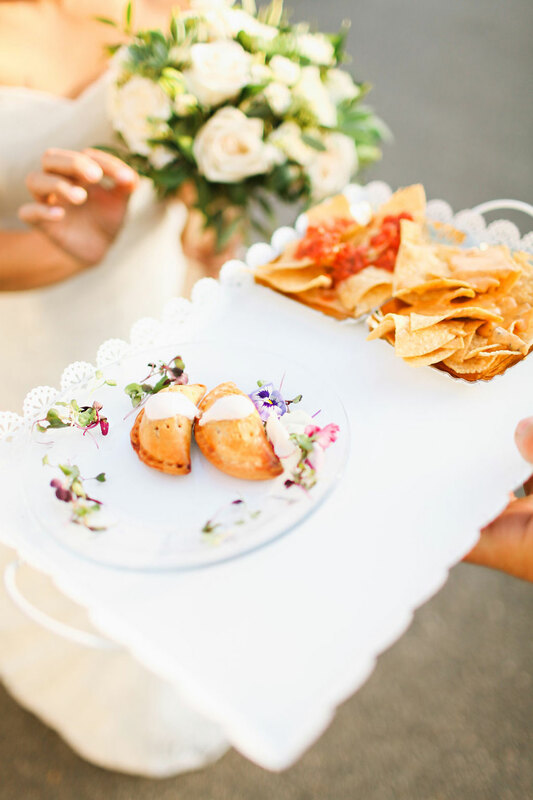 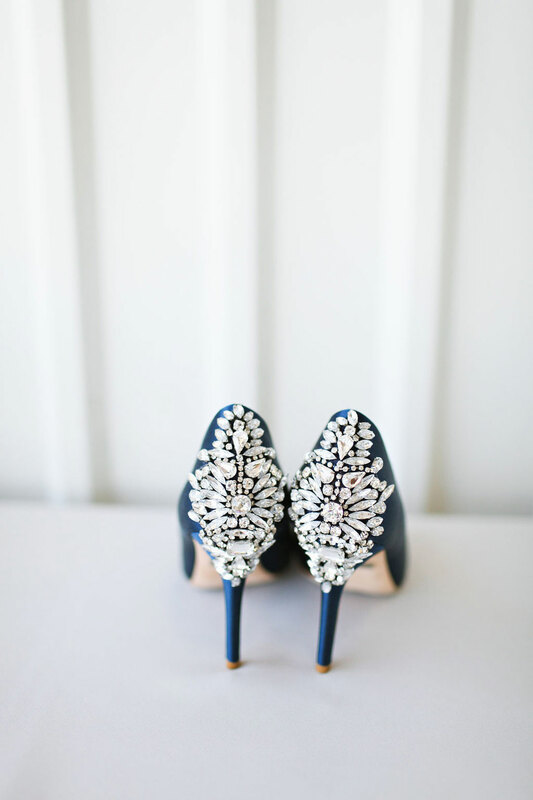 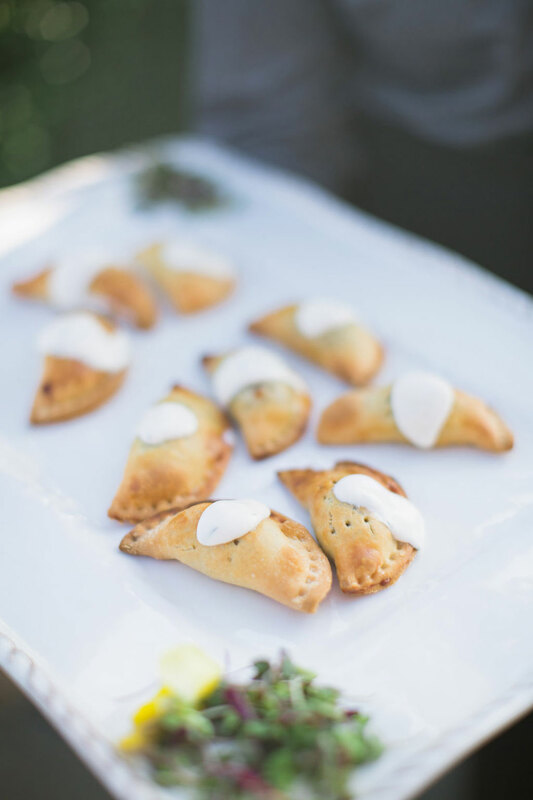 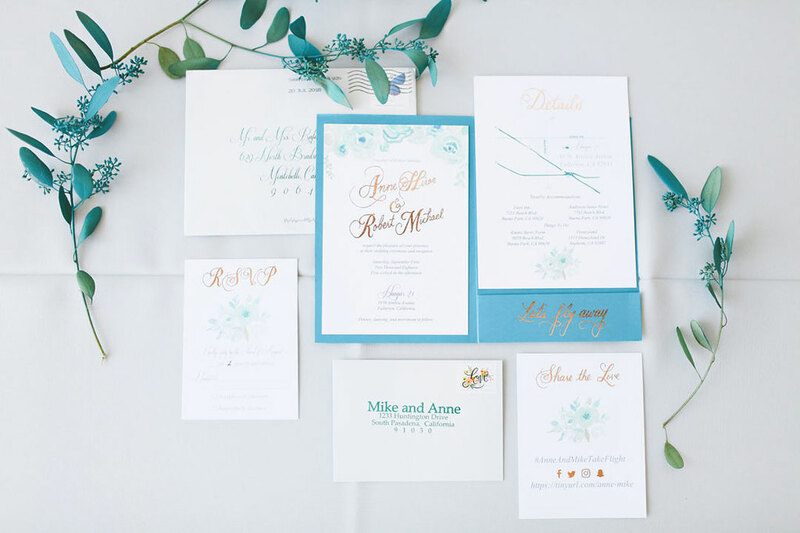 Anne and Mike took flight between their wedding and reception while guests snacked on Beef Empanadas with Cilantro Sour Cream and Jay’s Famous Tortilla Chips & Salsa with Queso Fundito – Yum! 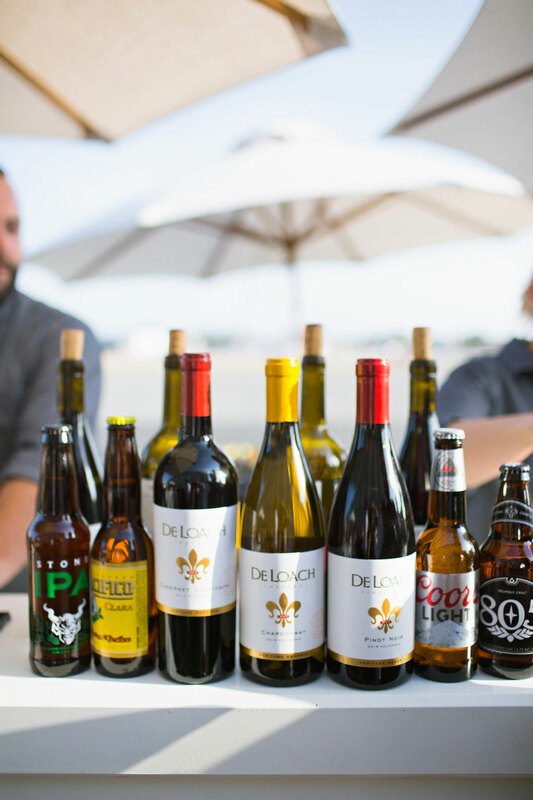 To wash it down, the bar offered beer and wine selections. 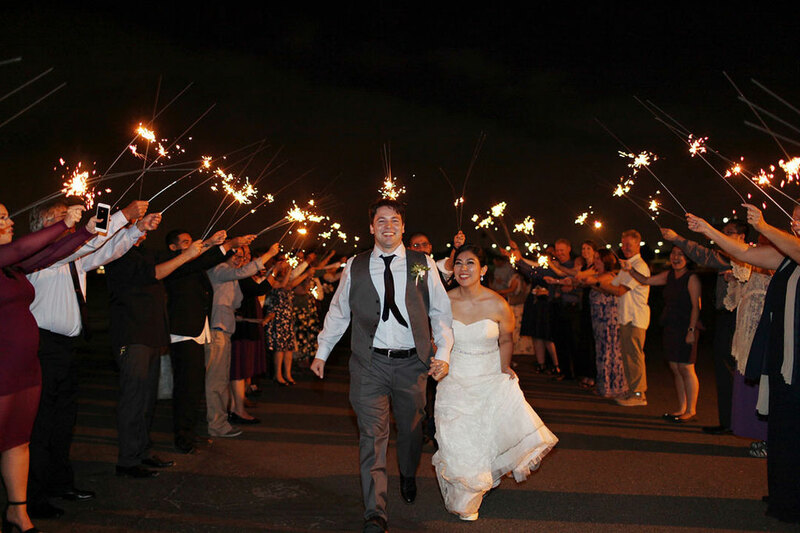 The rest of the evening was filled with a delicious dinner of Tequila Lime Chicken, Ranch Style Beans, Pasilla Rice, and Spicy Flame Grilled Corn, a fun photo bus to take pictures with the bride and groom, and a sparkler send off. 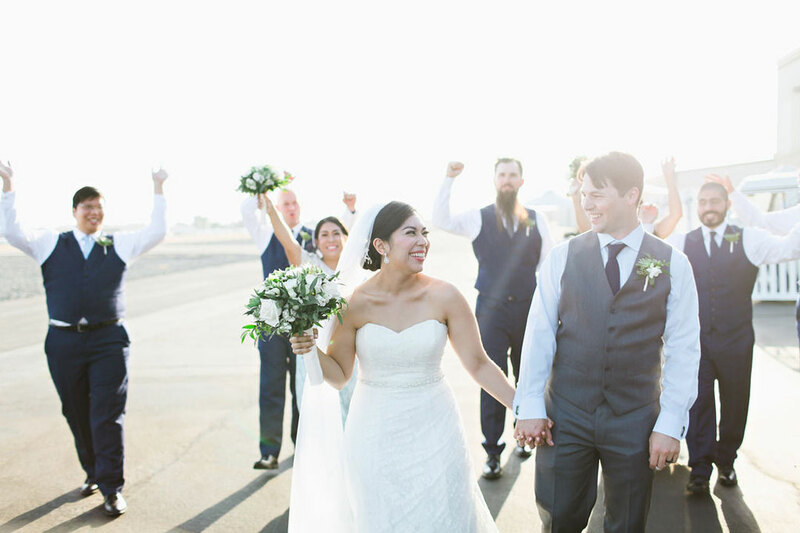 Shout out to Eunice, our Event Specialist, for helping Mike and Anne have the perfect day! 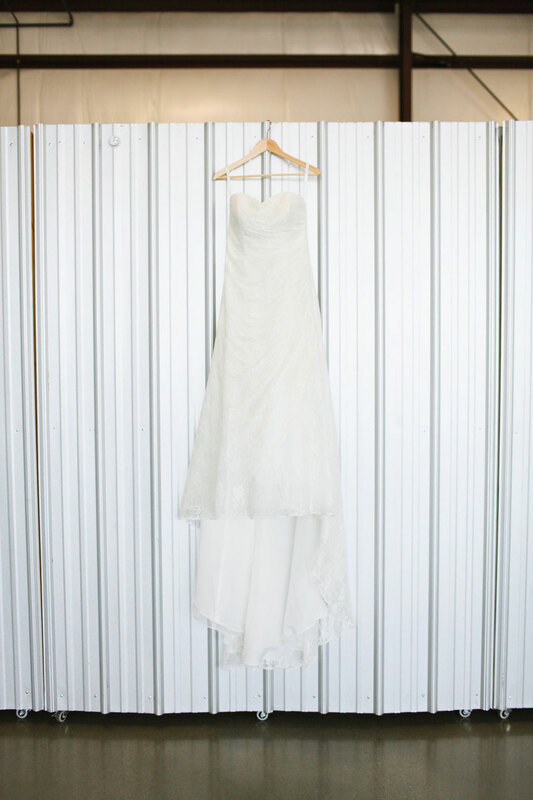 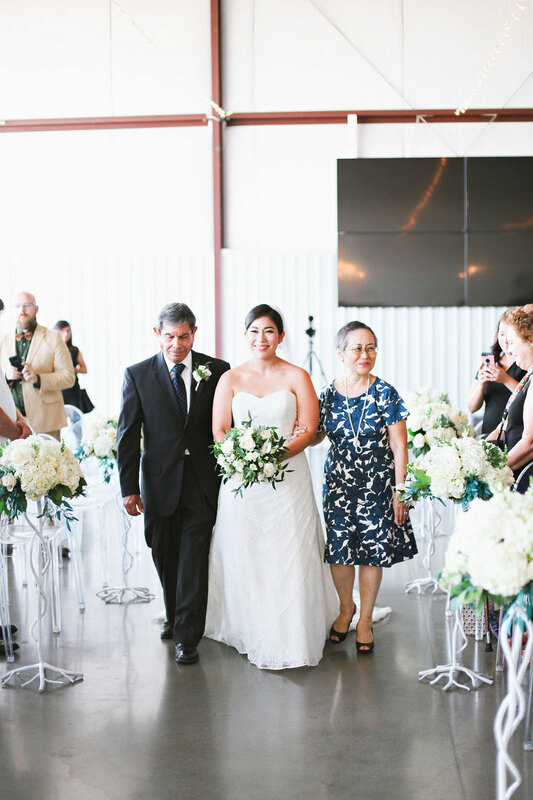 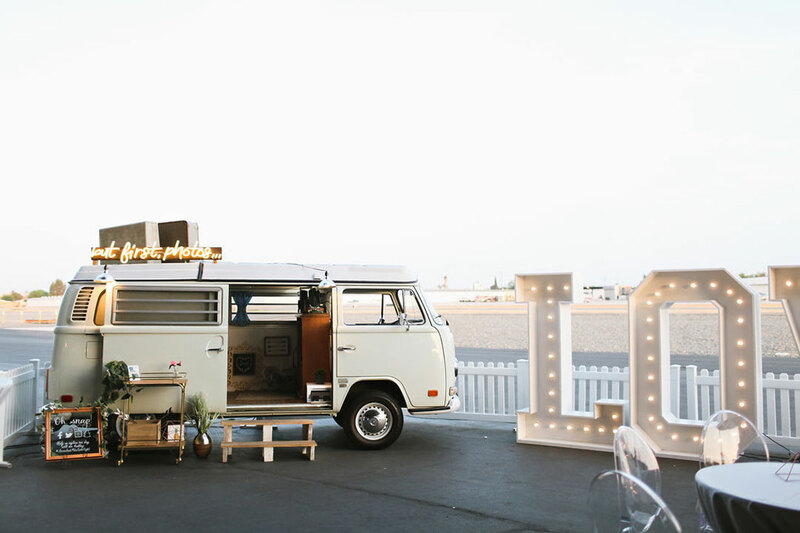 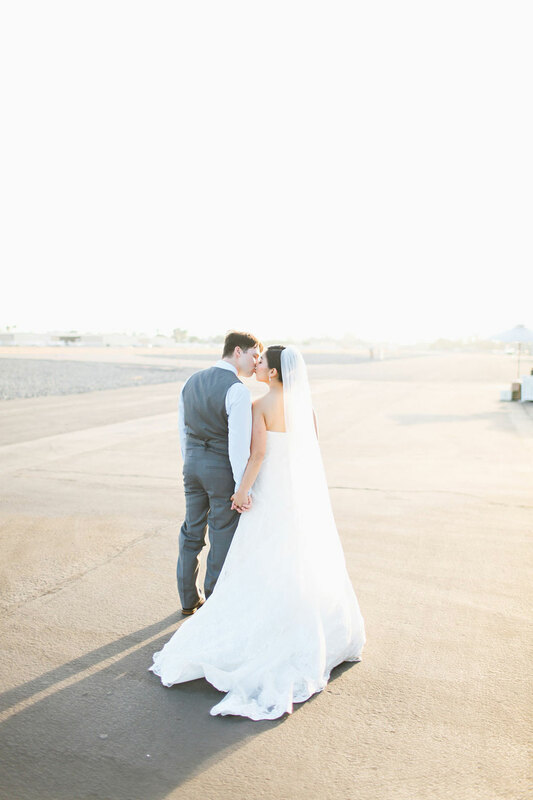 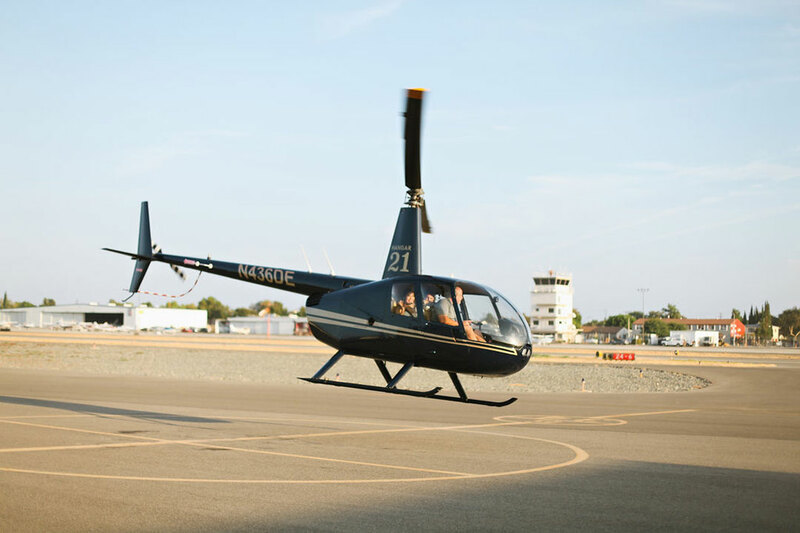 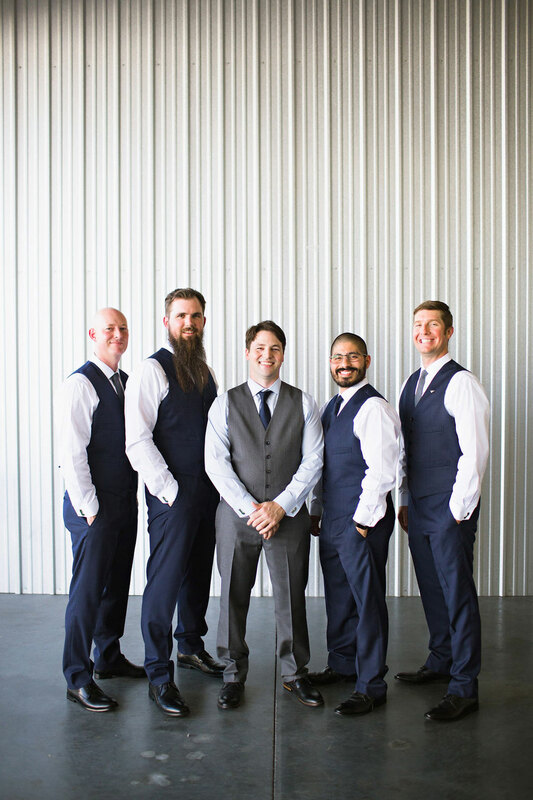 Venue: Hangar 21 // Catering: Jay’s Catering // Wedding Coordination: Dorothy Rose Events // Hair and Makeup: Echoumakeup // Videography: Lenson Productions // DJ: Extreme DJ Service // Flowers: Commerce Flowers // Cupcake Tower: Patty’s Cakes and Desserts // Photo Booth bus: The Booth and Bus Co.